Plastic delivers many great benefits to food production, storage and transportation, but if the current usage levels continue, this will cause considerable consequences to our planet’s environment by mid-century. A staggering 1 billion tonnes of plastic is produced every 3 years. So much so, that if all of the plastic produced in the last couple of decades was turned into cling film, we would have enough to create a sheet that could cover the entire surface of the Earth today. This report also claims that, by the year 2050, the plastic industry will occupy 20% of all oil consumption and 15% of the annual carbon budget. These statistics highlight a certain responsibility that we, as an industry, should take; to work together in cooperation to lessen the effect that plastic usage has on our environment. Recent efforts to curb the effect of plastic on our environment is starting to signal the beginning of change, helped along by the steady increase of investments into recycling. This month alone has seen over £10m being invested into recycling systems and schemes. Darlington based recycling firm Total Recycling Services Ltd secured a £6.7m investment, while the Dr Pepper Snapple Group is investing £3.5m into recycling in the US. Philip Law of the British Plastics Federation highlights the wealth of opportunities in the value of capturing waste materials, adding that “our launch of the Plastics Industry Recycling Action Plan is focused on this, as is our recent creation of a Sustainability Committee to pursue a pro-active agenda on many of the points raised”. In summary, we believe that the key to making a successful change towards plastic sustainability is unity and commitment, combined with revolutionary innovation of not only what plastics are made out of, but also the products they are used to develop and the efficiency of the process. Together, we can provide a more eco-friendly and sustainable future for the environment. 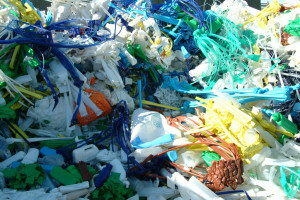 This entry was posted in Blog, Featured and tagged Environment, plastic, plastics Industry, Recycling. Bookmark the permalink.